Click the button below to add the Facial Toner Oily Skin #Natural Facial Toner Oily Skin# to your wish list. Our Facial Toner Oily Skin is alcohol-free and formulated with wholesome astringents that gently remove excess oil from your skin without causing irritation. 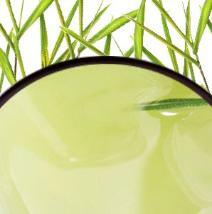 Witch Hazel combines with Rosemary to tone and cleanse skin while imparting a soft, invigorating and oil-free feeling. This facial toner for oily skin refreshes, tones and sanitizes the skin, while the energizing effects of Rose Flower and Grapefruit can be felt all throughout. Our toner for oily skin will leave skin fresh, purified and comforted. Gentle enough for even the most delicate skin. Gentle formula removes excess oil. 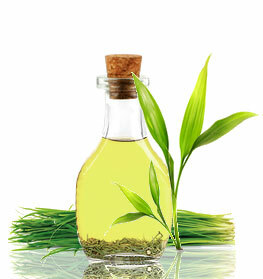 This facial toner for oily skin is made fresh in the USA. No Mineral Oil, No Petrolatum, No Silicone, No Alcohol. Rose Flower Hydrosol relaxes the skin and promotes a nutritive glow. Neroli Hydrosol has calming effects that repair and rejuvenate skin. Aloe Leaf is rich in nutrients that soothe skin, treat acne and act as a nutritive moisturizer. Witch Hazel heals blemishes and reduces inflammation of the skin. • Can be combined with our other products. • Spray directly on the face or spritz onto a cotton pad to cleanse skin. • We suggest looking at our Facial Lotion or Facial Cream for moisture. Rosa Damascena (Rose Flower) Hydrosol, Citrus Aurantium (Neroli) Hydrosol, Hamamelis Virginiana (Witch Hazel) Hydrosol, Aloe Barbadensis (Aloe) Leaf , Achillea Millefolium (Extract), Salvia Sclarea (Clary) Oil, Citrus Paradisi (Grapefruit) Oil, Citrus Limonum (Lemon) Oil, Citrus Aurantifolia (Lime) Oil, Rosmarinus Officinalis (Rosemary) Oil, Caprylyl/Capryl Glucoside, Panthenol (Pro-Vitamin B5), Glycerin, Glyceryl Caprylate, Lavandula Angustifolia (Lavender) Oil. I have horribly oily skin. I suffer from this every day as the hot Florida weather makes it a whole lot worse. I have used many toners that do absolutely nothing to my skin or they dry it out to the point of no return. This toner leaves my skin hydrated without the greasy feel. I was amazed that this product worked I was expecting it to fail. I will surely keep this in my arsenal of go-to skincare products.